At Frenchay Pre-School we aim to provide a happy, safe environment where all the children of our community can play and learn together through a wide range of activities. We believe that every child deserves the best possible start in life and we help to fulfil their potential by “Learning through Play”. 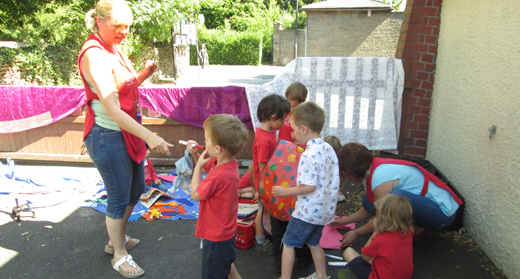 Visit our News page (link above) to keep up to date with all of Preschools latest news! We currently have children from Frenchay, Fishponds, Downend, Staple Hill, and all over the greater Bristol area learning through play with us! For further information see our Welcome pack.